"There are always a few mischievous people, but that does not mean it a symbol of that nation," the Dalai Lama said. 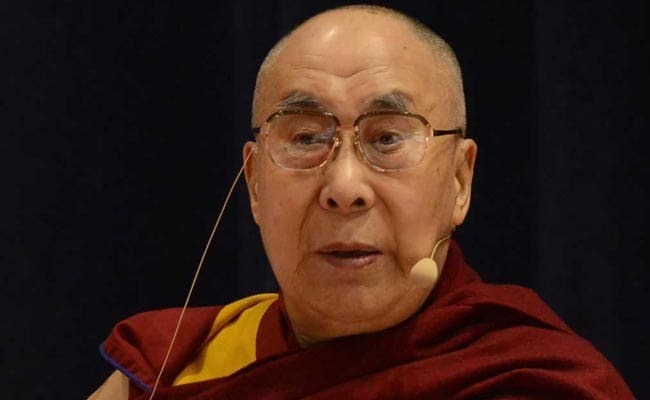 India is a land where religious harmony has existed for ages and a few incidents of attack on minorities cannot become symbolic of the nation that it is, Tibetan spiritual leader the Dalai Lama said today. Reacting to a question on attacks on the minority community in India, including the recent incident in Gurgaon where a mob of over 40 persons had recently pelted stones at the house of a muslim family, the spiritual leader said there are always "a few mischievous people", but that does not mean it a symbol of that nation. "A few incidents (of attack on minorities) cannot become symbolic of the nation that we are". "There are always a few mischievous people, but that does not mean it a symbol of that nation," he said while addressing a press conference in Delhi. A mob of over 40 persons had recently pelted stones at the house of Mohammed Akhtar in Bhup Singh Nagar area in Gurugram and had also beaten up members of his family, in an attack triggered by a game of cricket on Holi. The attack was captured on a cellphone by one of the victims and the video had gone viral on the internet. The spiritual leader said India should help the world in reducing conflict in the name of religion and asserted that he has been suggesting to the government to organise an international religious conference. "Since many years, I have suggested to the Indian government to organise international religious conference in India. In 1956, an international Buddhist conference was held in Delhi and then Vice President S Radhakrishnan was the chairman of the committee," the Dalai Lama said. So why not hold an international religious conference now, he said. "It should not be held just for one day. Big leaders should come and address, but after that, religious leaders should sit and hold serious discussion, about the contribution that can come from this country towards reducing conflict in the name of religions," the 83-year old Dalai Lama said. If possible a delegation could go to Myanmar, Afghanistan, Iran and Syria, the spiritual leader added. He said for thousands of years, religious harmony has been existing, and a small Parsi community has been living in a big city if Bombay in peace. "So, that is an example of what India is.... Also, I have never heard, among Indian Muslim community, problems among Shia and Sunni sects. But, in the next country, in the very name of Shia and Sunni, people killing each other," he said. India is a population of over a billion and religious harmony is wonderful and India should be more active to show to the world how different beliefs co-exist, he said. "India should make some efforts to reduce conflict in the name of religion world over," he said.